Charlestown basketball coach Hugh Coleman demonstrates the fundamentals for his players. CHARLESTOWN — During his high school basketball career at Charlestown High, Hugh Coleman learned the recipe for success, not just on the court, but in life. Under the tutelage of legendary coach Jack O’Brien, Coleman became a star point guard and honor roll student. He voluntarily worked out at 6 a.m. every day during the season, earned a scholarship to Bowdoin College, and became the program’s all-time leader in 3-pointers. When he returned to Charlestown to serve as an assistant coach under O’Brien, helping the Townies to state championships in 2003 and 2005, Coleman began to formulate a plan on how to take his mentor’s philosophies and apply them to future student-athletes. And when the opportunity arose, he took the head coaching job at Brighton, leading the program to its first two state titles and first three Boston City League titles over a nine-year span. “When I went to Brighton, I had a clear vision,” said Coleman. “It wasn’t just about basketball. It was about the boys’ characters and holding them to a high standard, as people and students. After that, basketball came third. 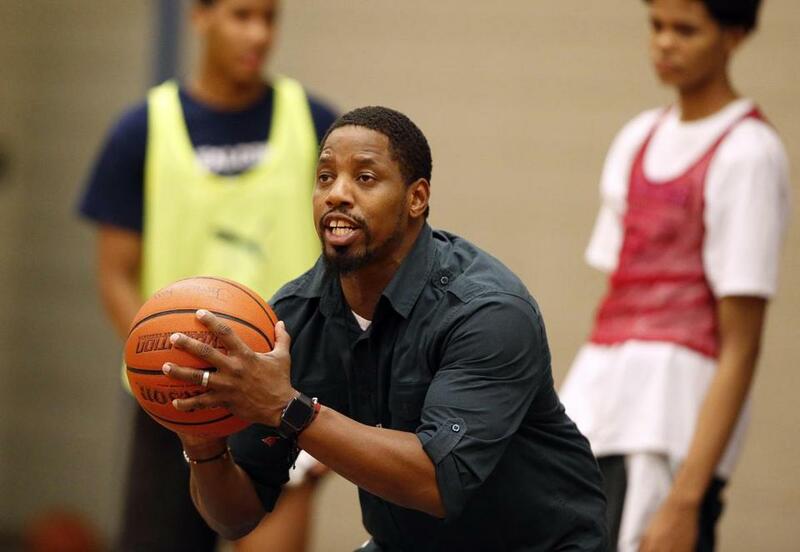 Hugh Coleman hopes to bring his Charlestown High alma mater back to its glory days as a first-year basketball coach, but he knows he must first hold his players to a high standard. Now Coleman is back at his alma mater as a first-year head coach, hoping to bring Charlestown back to its glory days. There may be some growing pains, as Division 1 South finalist Brockton visits Friday for the season opener, but Coleman’s emphasis on discipline and accountability seems to be making an immediate impact. Coleman demanded his players have a 2.0 GPA or higher by the time preseason began on Nov 26. He said he won’t hesitate to bench one of his best players against Brockton if they’re cited for poor grades, misbehavior, and while it’s not a punishable offense, he wants to know if they’re holding doors open and offering to carry things for others. Growing up in a crowded Dorchester home with his single mother battling addiction, Coleman was under the supervision of the Department of Child Services when he met O’Brien, whom he described as a father figure. Colelman, 41, is Dean of Students at South Boston and recently earned a graduate degree in leadership from UMass Boston, which brought him a step closer to his goal of becoming a high school principal. “I know the different pitfalls that young men of color can face in the city,” said Coleman. Hugh Coleman has kept in touch with Lawrence High first-year coach Jesus Moore, a friend of Coleman’s who is following a similar approach. “If there’s a plan that’s shown to be successful, I’m going to follow it,” Moore said. 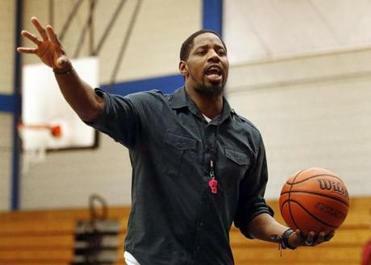 As a player and coach, Coleman often spent his summers at Merrimack College participating in the Academic Basketball Awareness camp, which includes two hours of academic instruction followed by a full day of basketball training. It was there Coleman met Jesus Moore, 29, who is entering his first year as head coach at his alma mater, Lawrence High. Moore has also adapted the hard-nosed coaching style of his mentor, Paul Neal, his coach during an excellent four-year career at Lawrence. Coleman and Moore exchange texts as they both try to implement a new era of accountability, and Moore has stood by his morals, benching star players throughout fall leagues to instill discipline. In Lawrence, Moore’s stature within the community and bilingual proficiency is extremely important since some players have limited command of the English language. Both coaches ask for weekly academic reports on their players and will coordinate study halls for struggling students. It is a role Coleman played for nine years at Brighton while his good friend and trusted assistant, Kurtis Martin, handled most of the Xs and Os related to game-planning. While Martin takes over as head coach for a rebuilding Brighton program, he doesn’t feel like much has changed, including his nightly two-hour phone conversation with Coleman. 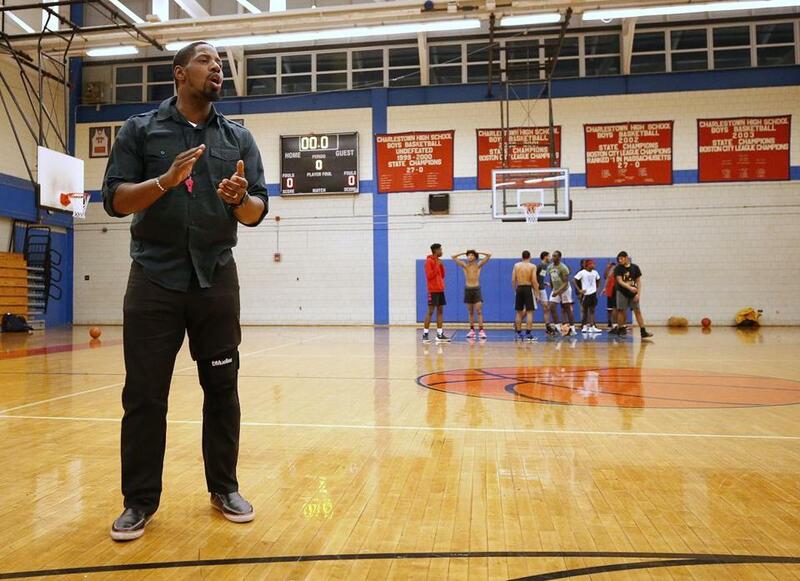 “Coaching in the city, it’s not about Xs and Os,” said Martin. “It’s about how much you can relate to each player and the trials and tribulations they’re going through. It’s about showing up at 3 a.m. when [2012-14 Brighton star] Malik James called us and said his house caught on fire. It’s about being there for kids. 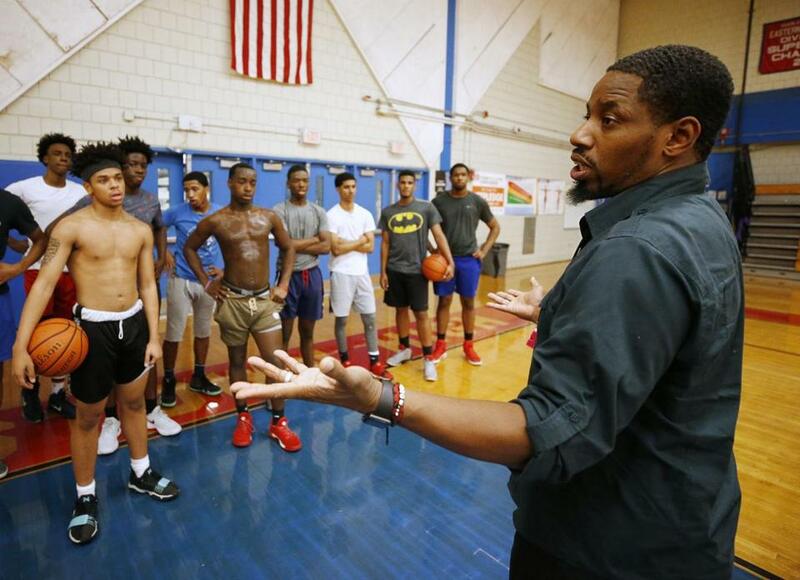 With state championship banners hanging on the wall of Charlestown High’s gym, first-year coach Hugh Coleman hopes to rekindle that championship culture at his alma mater.